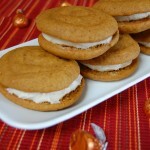 Cinnamon cream cheese frosting, sandwiched between two pumpkin cake-like cookies! 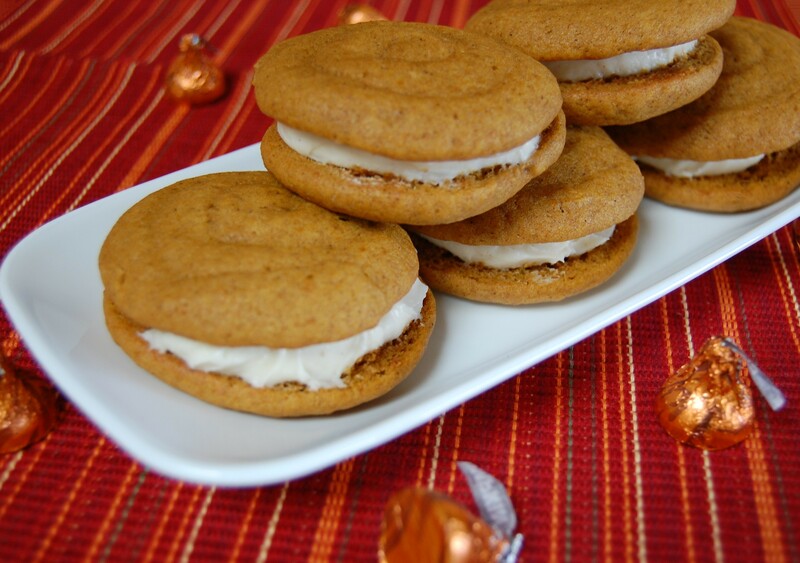 In a large bowl, beat together brown sugar, granulated sugar, oil, pumpkin and vanilla. Add eggs one at time, mixing well after each addition. In a separate bowl, shift together the dry ingredients. Slowly incorporate the dry ingredients into the wet until just combined. FILLING: In a large bowl, beat together cream cheese and butter. Add powdered sugar, vanilla and cinnamon, beat until smooth and creamy. Frost the flat side of half the pies, top with remaining pies and sandwich together. Enjoy right away or chill overnight.